With so much to think about when booking a holiday – flights, accommodation, car hire, passports, currency and so on – it often seems like a sensible idea (booking last-minute holidays), to get everything sorted out well in advance of the date when you’re planning to travel. 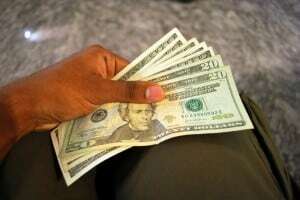 While there is no doubt that being prepared has its advantages over taking a late deal, in terms of reduced stress, getting exactly what you want and eliminating the potential for things to be forgotten, prudence can also have its downsides too. One of the main benefits of booking a last-minute holidays is that you can take advantage of reduced prices. Hotels and travel agents would rather see rooms full than empty, even if that means losing some of their profit margin, so you’ll find the cost of a trip tumbles the closer to crunch time it gets. Many travel agents have parts of their website dedicated to highlighting the last-minute prices that are on offer, so make sure you check these out to get the best offer possible. If you book a last-minute holidays four months in advance it can be pretty agonizing facing hundreds of hours at work before you can pack up and leave the office behind. By the time your trip finally comes around, some of the excitement may have petered out as a result. However, when you make a last-minute decision based on what is available, it’s a real thrill looking down the list of exciting countries on a late deals page and picking one on a whim. When you jet-off to somewhere you haven’t had time to read all about, it makes those first few days in your destination all the more exhilarating. You’re also less likely to have had time to draw up a set itinerary and can be a lot more spontaneous during your vacation and on the road. Another pro of choosing your destination at the last second is the opportunity to tailor your choice to conditions at the time. When you book in advance, you can only cross your fingers and hope, for instance, that the weather is going to be good when it comes around to your time to travel. However, if you’re booking a few weeks in advance, you can simply go online and view a 14-day forecast for your shortlist of locations. The same goes for other factors that might impact on the success of your holiday, such as strike action by workers, government issues, natural disasters and holiday firms going bust. When you’ve got months to play with, it can be tempting to spend hours and hours researching your trip. This can lead you to obsessing about the smallest elements of your holiday that aren’t actually that important. In booking last-minute holidays deal, the focus is firmly on the destination – something that’s really a lot more meaningful than whether your hotel had a few bad TripAdvisor reviews. So, if you haven’t yet had a holiday this year, what are you waiting for? Book your last-minute holidays break today! If you are looking for a vacation that is different from what many others are doing, it would be best to consider sporting holidays. Unsure of what to do and where to go? Keep on reading and we will provide you with recommendations on some of the best that can be taken into account. Spain is home to some of the best golf courses in the world, which is why it is no longer surprising that it also hosts global golf tournaments. Malaga and Costa del Sol are some of the areas with the greatest concentration of golf courses. In Costa del Sol alone, there are amore than 60 golf courses, along with great golf resorts like La Cala. One thing that makes Spain perfect for a golf break is that the country enjoys plenty of sunshine, allowing you to enjoy the outdoors almost year-round. The beaches of Thailand can be mesmerizing, but there is something that can also be explored underwater. This is one country where you can have a long list of choices for scuba diving. The South East coast of Thailand is the place where you can see some of the best places to dive. Some of the most popular choices that can be considered include Similan Islands, Surin Islands, Koh Lanta, Koh Phi Phi, and Phuket, among others. Whether it is wet or dry season, Bali is a place where you will have plenty of options to catch big waves and enjoy surfing. Some of the most popular include Kuta Reef, Medewi, Uluwatu, Padang Padang, Balangan, Keramas, Nusa Dua, and Green Balls, among others. Aside from surfing, it is also an excellent place for cultural exploration. Art lovers will surely enjoy this surfing paradise as well. The French Alps has always been one of the most exciting global destinations for people who love to ski. One of the best things about this region is that it can cater to anyone, regardless of your skiing skills. 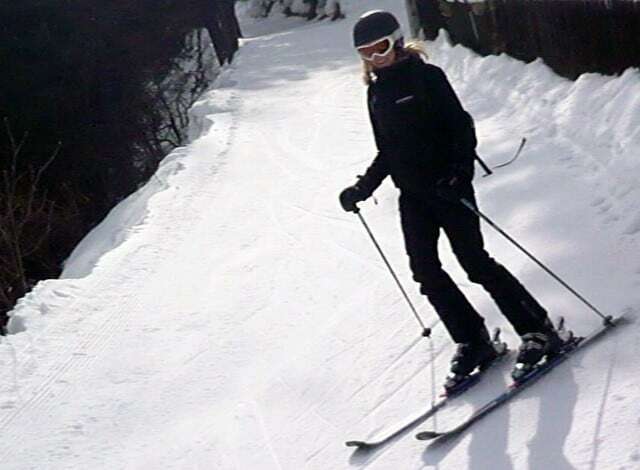 Whether you are a beginner or a seasoned skier, this is a place that can be enjoyed. The Three Valleys area is one of the most famous you should check out. For those who have been skiing for a long time, Chamonix is an excellent pick. Courchevel, on the other hand, is one of the oldest ski destinations in France and perfect for those looking for a luxury ski holiday experience. The Cornish coast is one of the most attractive for people who love sailing. Whether you are a newcomer or a seasoned sailor, Cornwall will be an excellent pick, especially because it has been consistently ranked as the favorite British destination for sailing. You can sail your way to the Isle of Scilly or head to the Carrick Roads. There are many companies where you can rent a luxurious and safe yacht to take you and your group to the calm waters of Cornwall. 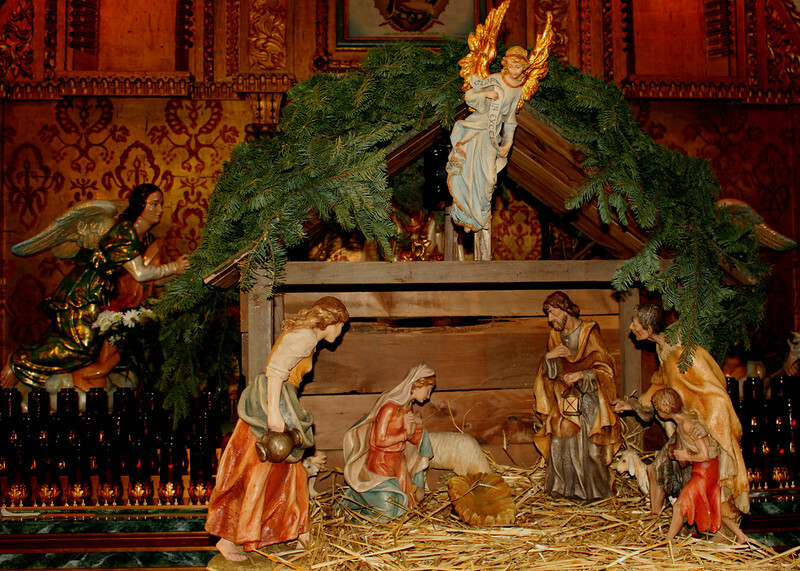 Christmas is probably the biggest traditional holiday celebration around the world. It’s a big family event, reuniting with those you haven’t seen in years, sharing with those you love. In the past several years, many people have chosen one of the many holiday destinations instead of staying local. Many travel lovers like the experience of spending this holiday abroad or just in a brand new cities. Christmas season is a great time of year to experience other cultures in a new exotic destination. 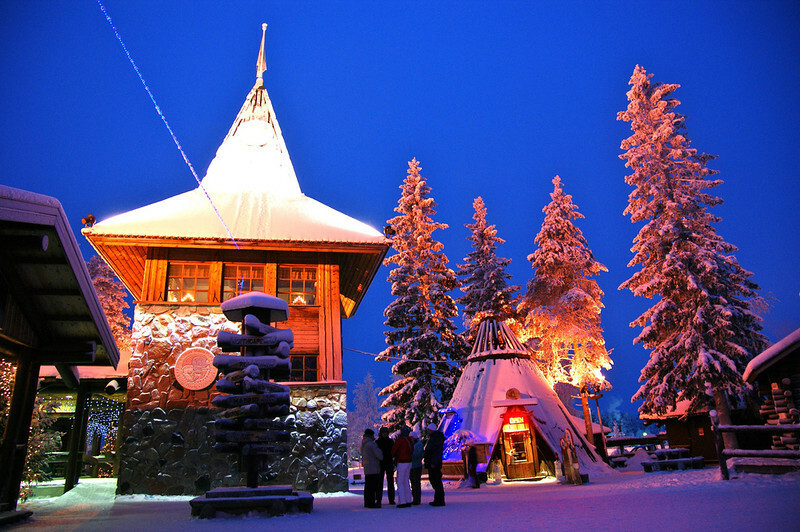 For a wonderful “winter wonderland” holiday, you can plan a visit to Santa Claus Village and meet Santa and his elves in person. 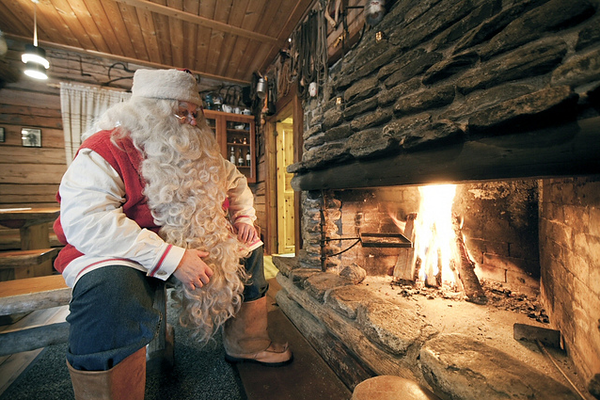 Visiting Santa Claus Village is a memorable time for all, especially the children. At Ranua Wildlife Park you can enjoy an afternoon of fun with a dog sled ride and don’t forget to visit the husky kennels and experience Christmas time in the wilderness. Another exciting event in Lapland- the Northern Lights sighting and don’t forget to enjoy a snowmobile safari while you’re there too! Many travelers go to San Juan just to attend Midnight Mass at the San Juan Cathedral. The cathedral is an amazing architectural wonder and the oldest building in the area. A little sun and sand too is also attractive to Christmas travelers, gives you a new experience for this holiday season. Celebrate the birth of Christ on Christmas Eve this year at San Juan’s Midnight Mass. For a change of pace, test the waters at the Christmas Boat Parade in San Juan. Many boat owners parade around the San Juan Bay in their festively decorated boats. Enjoy the Christmas lights at nighttime as they shimmer on the water. 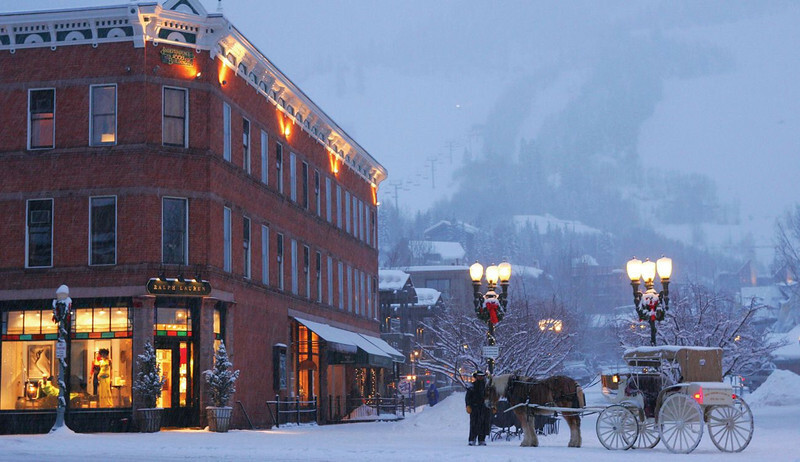 Aspen has long been a famous tourist destination for those who love winter sports. A Christmas holiday in Aspen allows you to combine a wonderful celebration in a cabin with some skiing, snowmobiling and snow shoeing. The four top ski resorts situated high in the Rocky Mountains include a favorite for beginners- the Buttermilk ski slopes or the the Aspen Highlands, Aspen Mountain and Snow Mass ski slopes. Don’t forget to visit Aspens Ice Gardens, an indoor ice skating rink enjoyed by those who spend their holidays in this lovely city. 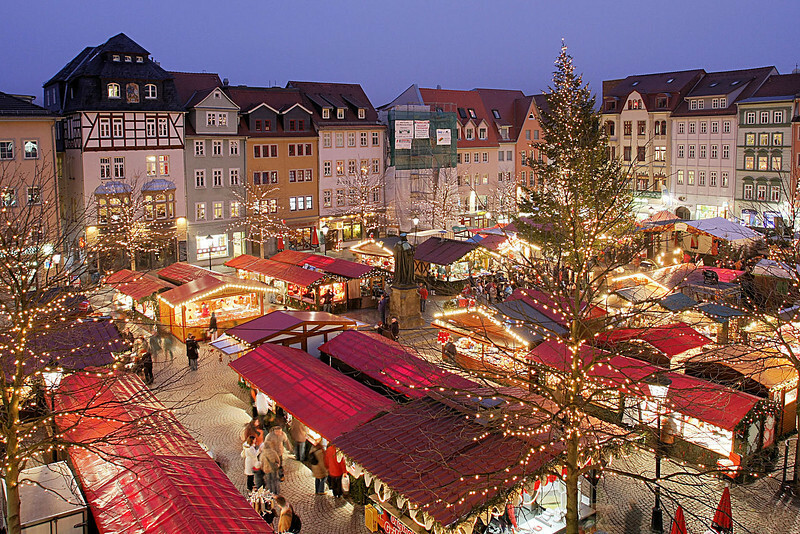 Enjoy the Cologne Christmas Markets this year while on holiday in this destination. The four largest markets are The Neumarkt, the market at the Cologne Cathedral, the Alter Markt and the Rudofplatz. Each of these offer a truly memorable Christmas celebration with wonderful shops, decorations and activities for all. After a day at the Markets take a Rhine River Dinner Cruise or enjoy the Christmas Brunch Cruise while in Cologne. If you are staying through the Christmas holiday, try to extend your trip to enjoy fun New Year’s Eve celebrations as well. Many cities celebrate in a big way, including festivals and fireworks. Are you adventurous enough to fly out to a new travel destination for your Christmas celebrations? It might seem a bit early to be talking about Christmas, but we’re already approaching November so now is the time to really start planning. Christmas is undoubtedly one of the most important family holidays of the year; everybody prepares for months for the days when the whole family gets together and spend time with each other. But while traditions are great with gifts under the tree and grandma’s Christmas specials, it’s sometimes fun to stir things up a bit and do something different. Taking your Christmas family holidays abroad is becoming increasingly popular, and there are so many places that are great to explore. Why celebrate the way we always have, when we can discover something new? Germany is the Mecca of Christmas markets. (Best Christmas Markets To Visit In Berlin) We spent last Christmas discovering over 10 markets only in Berlin, but there are other cities in Germany that have even better Christmas markets. Nuremberg, Dresden and Cologne are all famous for their incredible markets, and the adorable Rothenburg Ob Der Tauber is nicknamed the “Christmas city”. Spend the days before Christmas enjoying the food from the many stalls at the market, buy some traditional German Christmas gifts for each other, and enjoy the many free concerts that play in the evenings. Christmas night (24:th), however, is best spent at home. We rented an apartment and made a German Christmas dinner. Würstchen (sausages), potato salad, casseroles, goose, cheese fondue, Lebkuchen (soft kind of ginger bread), Glüwein and Eierlikör (mulled wine and egg liqueur), Christstollen (bread with dried fruits inside). Christmas is very important for Scandinavians, and unlike many other countries this holiday is not at all a commercial thing. In Scandinavia, Christmas is celebrated on the evening of the 24:th, when Santa Clause (who apparently lives in Finland) comes knocking on the door with a bag full of gifts, each with a riddle that gives you a clue of what is inside. Rent a cottage in a ski resort or somewhere idyllic, buy a santa dress and a big bag, spend an evening together writing riddles for each others gifts and munching on gingerbread. Schnapps, Christmas Ham, Janssons frestelse (Janssons temptation), Christmas rice pudding, Julmust (Christmas soda), Mulled wine, “prince” sausages, meatballs, gingerbread, Christmas toffee, and “dipping in the kettle” (dipping bread slices in the ham broth after boiling the Christmas ham). Christmas in the Pacific is as different as it could possibly get from the winter in the northern hemisphere. Summer has arrived with lovely warm weather and sunny days. In Australia, Christmas is celebrated on the morning of the 25th with presents under the Christmas tree. Spend the day hanging out with friends and relatives, play some sports on the beach, go swimming and surfing. Check out one of the many events that are held in the parks, and enjoy a BBQ with some beer. BBQ meat, cold salads, cold turkey and ham, Pavlova (a traditional cake) and lollies such as rocky road. The foods are often cool as Christmas is celebrated in the middle of the summer. Another typical Australian dish is the Billy Can Pudding, a dish that is left out for Santa Claus. It’s a raisin bread boiled in a tin. The tradition comes from the olden days when colonists living out in the outback had little to work with in the way of cooking instruments. 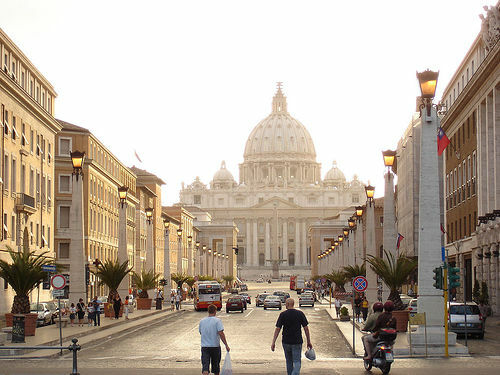 Rome is jam packed during Easter so if you are planning to take a family holiday to Rome during Easter next year now is a good time to start planning. The closer you get to easter, the fewer hotels will be available, as there are many people booking their Easter family holidays already six months in advance. But there is a good reason to why so many people flock to the city during Easter. The Pope holds many of the masses and blessings, which is one of the biggest events for Christians around the world and a very unique experience to witness first hand. But the whole city is buzzing, and when you’re there you should not forget to buy one of those massive easter eggs that you will see in all candy stores and supermarkets! In New York, the highlight of Easter is the Bonnet Parade, a fun and informal parade that dates back to the 19th century, and has developed from showing off your new clothes to wearing extravagant outfits. Rio is as colorful as ever during Easter, when vibrant processions take over the city, and the streets are decorated with flower carpets. It’s a beautiful time to be in Rio, and the climate is perfect for relaxing by the beach after watching the spectacles. Easter means spring in Amsterdam, and spring means tulips. Outside of the city is a seasonal tulip garden called Keukenhof that is absolutely perfect at this time of the year. The garden is a true explosion of color. Amsterdam is the perfect destination for family holidays, as there is so much to do for people of all ages. Vienna has some great Easter markets that are wonderful to stroll around in during Easter. You can buy everything from food to hand made Easter bunnies and other local craft. Easter in Spain is a very important time of the year, and in Madrid’s Plaza Mayor drummers in white robes assemble to play their instruments in celebration of Christ’s resurrection. We all know that the airports start getting really busy during holidays throughout the year, but no holiday is as busy as Christmas and New Year’s. But where is everyone going? The travel site showed the biggest trends in destinations this year, including a very interesting survey on the busiest and least busy days to travel. According to the study, Bangkok is the number one destination people head to during December and January. I guess nothing beats a good week of warm weather, beaches and cheap food? New York came in second, I’m guessing because it’s a great shopping mecca and because their Christmas decorations are among the most spectacular world wide – not to mention the New Year’s eve party. Sofia, in Bulgaria, were people in Britain’s third choice, something which surprised me quite a bit. Perhaps there are budget airlines flying there, and Sofia is pretty cheap and fun, but yet there is nothing special in my opinion about that city. As you can see, Brits are spreading out all over the world and going global. The most popular continent after Europe is Asia, but Africa had two cities in the top 10, so it’s definitely on the rise. Now I’m not talking about whether they fly with their family or friends, but which airlines they choose. The top five most used airlines are British Airways, KLM, EasyJet, Lufthansa and Air France. Now for the best part, and probably most interesting for those planning to go away on the holidays. If you’re flexible with your schedule you can avoid both the biggest crowds and chaos, and at the same time manage to get some cheap tickets even during the holidays. The least busy day in the UK during the Christmas holidays is December the 25th, which is not unexpected. Most people don’t want to be spending Christmas day on a plane, but would rather be at their destination by that time. So if you’re not so fussy about traveling on the 25th, you might find some great deals. The 31st of December, on New Year’s eve, is also a very quiet day, for the same reason as Christmas day. So is the 1st of January, supposedly because the last thing most people would want is to go and catch a flight with a massive hangover. In fact, most people don’t actually want to move anywhere from December 30th until January 6th, which makes that week a very quiet travel week. The days before New Year’s and just before Christmas are pretty busy, but the busiest days are Saturday and Sunday 21st and 22nd before Christmas. Christmas is often seen as a “family holiday”, but these days more and more people choose to spend Christmas abroad. Some want to get away from the boring weather, others from their extended family members – and a few simply because they want to see what Christmas is like in other places. We’ve celebrated Christmas in countries all over the world over the past few years, and they have all been very different. This year we will be celebrating in Berlin, Germany, and we’re really looking forward to visit the Christmas markets there and sample some of the German Christmas food. Christmas is a beautiful time to visit Switzerland – Snow caped mountains, traditional cottages with paintings on the walls and Christmas lights in every window – the small villages up in the Swiss Alps really turn into a winter wonderland. In the Swiss alp villages the traditions are very strong and important, so during the Christmas month you will see some nice celebrations, like the week before Christmas when children dress up and visit homes bringing small gifts. Christmas dinner is also very traditional, when you typically eat the infamous ”Cheese fondue”, where you dip bread into melted cheese. Tradition has it that if you drop the bread into the cheese you have to do a dare – or clean the pot after dinner, which is not an easy task..! 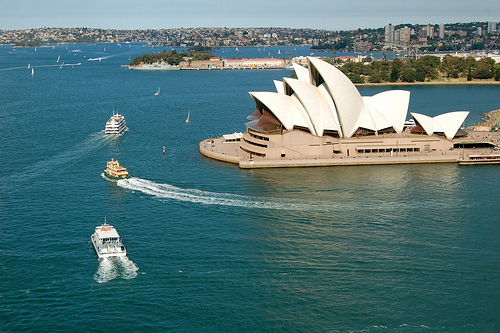 Christmas in New Zealand and Australia is – for a European, a very strange experience. They have the same traditions as in the UK, where they decorate Christmas trees, hang up Christmas lights on the streets, fill the houses and shops with Santa figures, red socks and mistles – but you know something isn’t quite as ”it should” when the only snowmen you see outside are inflatable. The most common way to celebrate Christmas in New Zealand is to have Christmas dinner outside together with friends and family at the beach and then go surfing or for a lovely swim. Christmas at the beach and during the summer is very weird for someone from Sweden, who is used to spending December inside trying to avoid the cold, grey snowy weather outside. Celebrating Christmas in Thailand won’t be a very traditional experience, but that can be quite nice for a change sometimes. Holidays in Thailand during the Christmas period is becoming more popular, and we were seriously considering taking one of the many 2 weeks holidays to Phuket over Christmas this year because we found a crazy cheap flight. But we celebrated Christmas in Thailand last year, and did everything we otherwise normally wouldn’t do on Christmas, which was really fun. It was nice to get away from the traditions – do what you want and eat what you want, because let’s face it – half of the things on the traditional Christmas table are things we never eat at any other time of the year because they simply don’t taste that good. So having our favorite curry, banana pancakes and hanging out in a bar in the evening was such a relief! I always find it depends on what part of the world your in. For instance, last minute booking in Europe is generally more expensive.